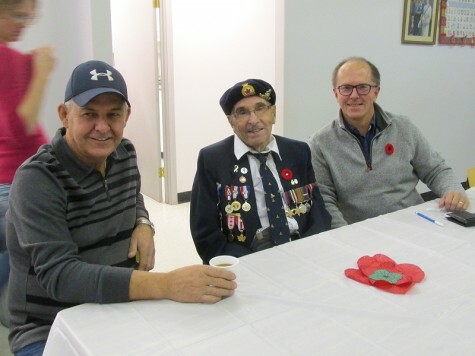 This year the Pine River Fall Supper was held on Remembrance Day therefore before the supper started there was a tribute to those who served and continue to serve in the military. There was a guest of honour present and special thanks were given to Mr. Anthony (Tony) Baschak as he proudly wore his war medals on his Legion uniform. 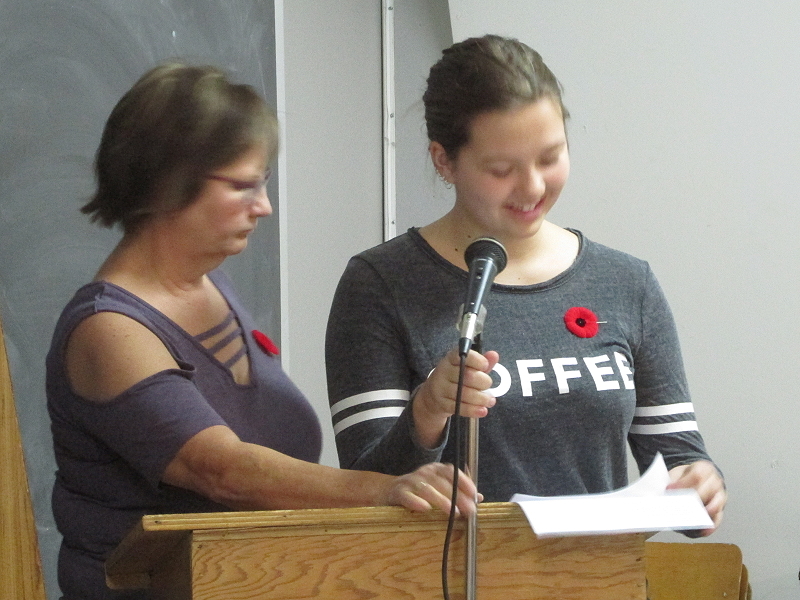 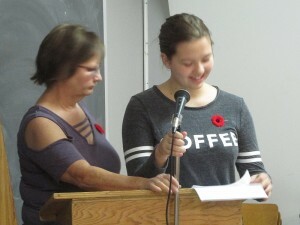 Donna Bartko and Emma Livingston shared a poem and prayer to commemorate the 100 year anniversary since the end of WWl and Remembrance Day. 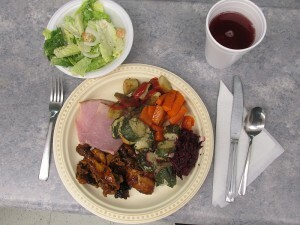 Supper was served to 150 people as each received a plate with two pieces of roasted chicken covered with a savory sauce, slices of juicy ham, seasoned roasted potatoes and carrots, beet leaf buns with creamy dill sauce, a side dish of Cesar salad and all the fixings including beet relish, along with about 20 different scrumptious desserts. 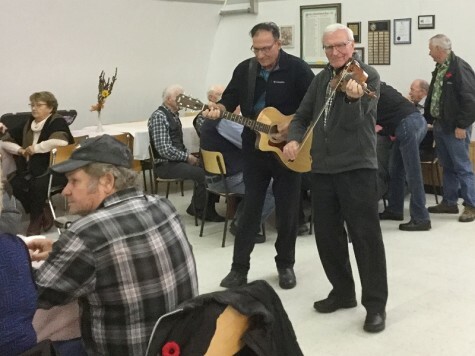 Before and after the supper two talented gentlemen entertained the crowd by playing their guitar and fiddle, thanks to Manuel Nakonechny and Marvin Procyshyn both from Dauphin for contributing to the event, it was a delight. The Community Centre also had a silent auction raffle consisting of great prizes from homemade perogies, meat package, candles, candy, food hamper to bird seed just to name a few. 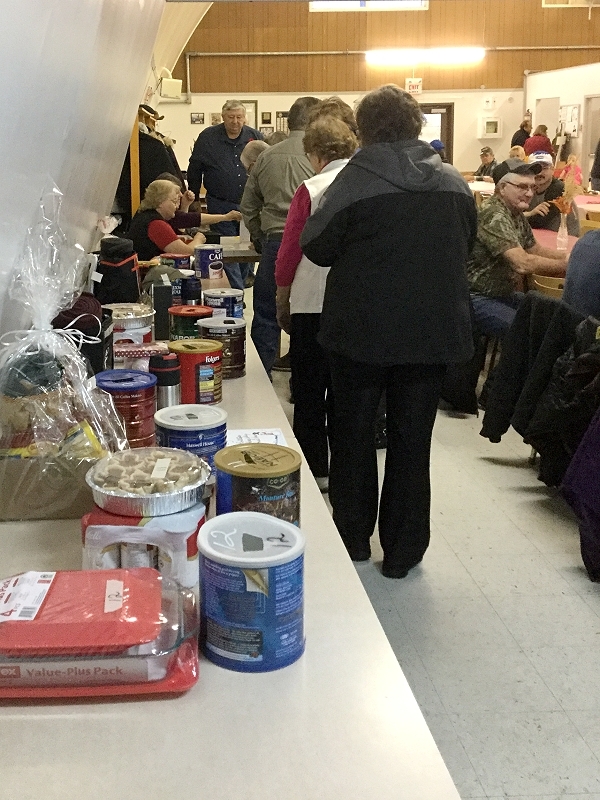 Congratulations to the winners: Leanne Marceniuk, Clifford Kostiuk, Steve Kushnerek, Diane Medwid, Barry Heppner, Reed Soloway, Russell Boychuk, Alex Hrychuk, Debbie Soloway, Lawrence Marceniuk, Sylvia Bartko, Donna Bartko, Rona Kamfoly and Don Spikula. 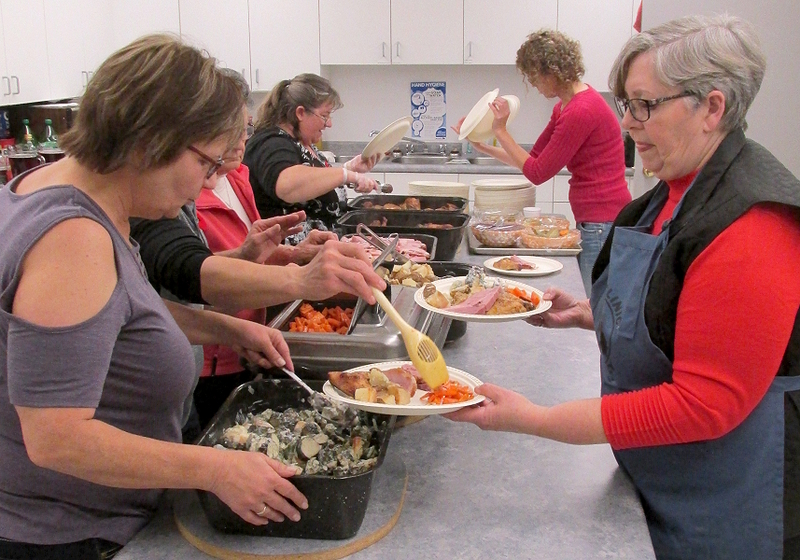 Special thanks to all that donated silent auction prizes, food for the supper, selling tickets, printing tickets, picking up supplies and volunteering your time to make this delicious meal and helping with clean up. 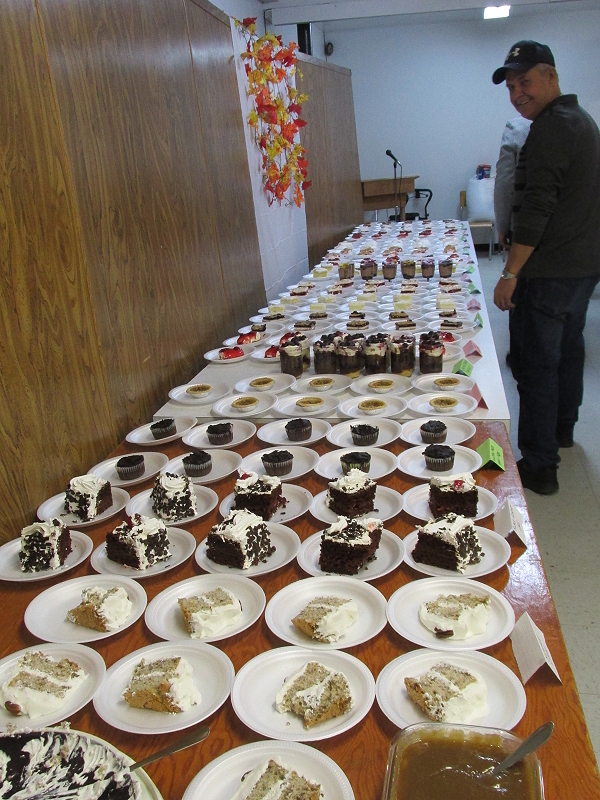 great menu with no shortage of food. So if you want to experience one of our tasty meals watch for our next event and get your tickets early to prevent disappointment. Bon Appétit.